Bermet – dark ruby color that promises pleasure. The divine drink which was once adored Maria Theresa, produced in the cellars Sremski Karlovci and Fruska Gora monastery. The secret of making Bermet is passed down from generation to generation, and recipes from house to house were different. 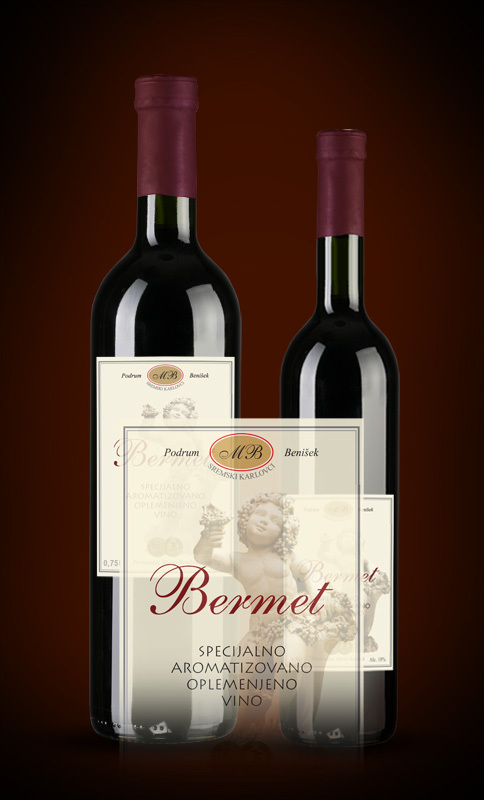 Bermet Benišek produced from the basement by an old family recipe over 200 years, using the latest technologies in the production and storage of wine. For quality and nobility of this wine, other than prescription, it is a good red wine as a base, in addition to 22 different ingredients, the medicinal aromatic herbs, spice plants, the grapefruit. No drink is similar to the harmony of taste and smell – Bermet in its fullness merges bitterness and mild sweetness. Bermet is drinking balanced values. Serve at room temperature (18 ˚ C), as an aperitif or digestive.